A general election is around the corner. This article presents a historical review of Bangladeshi elections along with their iconic events to help readers interested in South Asian politics understand the unique course of political development of this country since its birth amid the current controversies and conflicts. The emergence of Bangladesh as an independent and sovereign state was a result of the conflict of democracy and political Islam. In 1947 Bangladesh cut its umbilical cord with India and tied a loose knot with Pakistan under the influence of political Islam. The knot, however, was torn apart as the political Islam couldn’t overpower the secular culture of Bengal. In quest for freedom and democracy, 3 million Bangladeshis died in the Liberation War in 1971 against the Islamic Republic of Pakistan. The People’s Republic of Bangladesh was established on the ideals of nationalism, democracy, socialism and secularity. The National Parliament is a unicameral legislature with 350 seats. Single member constituencies comprise 300 seats while 50 women members are elected through proportional representation in the parliament through Single Transferable Vote. The term of a parliament is five years. The legal age of a voter is 18, and to contest in a parliamentary election the age is 25 years. Elections are not free from controversies. It has become a norm for every losing party to make ‘unfair election’ claim. Major political party leaders have become highly controversial in recent times. People with endless misery and suffering continue to vote for a change, a change towards peace, prosperity, and pray for dignity among the politicians. The 10th parliamentary election is scheduled on 5 January 2014. The First parliamentary election in Bangladesh was held in March, 1973. Bangladesh Awami League won an overwhelming victory with 293 seats. 14 political parties fielded 1,809, and 120 independent candidates contested in the election. Voter turnout was 54.9%. Independent candidates won 5 seats while two leftist political parties bagged 1 each. Sheikh Mujibur Rahman, the Father of the Nation, formed the first democratically elected government in Bangladesh as prime minister. 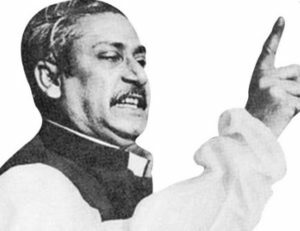 However, the landslide victory in 1973 general election turned out to be the most fatal event in Awami League’s history as Sheikh Mujib lost his vision to ego, and members of the parliament opted for one party rule and presidential system. In January 1975, Sheikh Mujibur Rahman became the President of Bangladesh. The people’s mandate was sabotaged. Democracy was dead. Sheikh Mujibur Rahman and his family members, except daughters Sheikh Hasina and Sheikh Rehana who were in Germany at that time, were brutally killed in a CIA supported military coup on 15 August 1975. Coup and counter coups rolled on until 7 November 1975 when Major General Ziaur Rahman finally took over as the Chief Martial Law Administrator. Under emergency rule parliament was dissolved, political activities were banned. Ziaur Rahman turned to countries that opposed or didn’t support Bangladesh’s independence such as USA, the Arab countries and China. He repatriated notorious war criminals like Ghulam Azam of Jamaat-E-Islami who fled to Pakistan with his accomplices right before Bangladesh’s independence in December 1971. 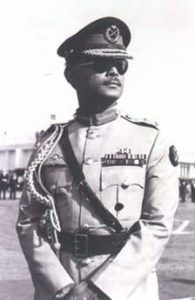 Chief Martial Law Administrator, Major General Ziaur Rahman made himself the President of Bangladesh on 21 April 1977 for 5 years. In a nationwide referendum he asked people whether they have confidence in him and his policies and programs. He received 98.9% ‘YES’ votes! People remember Ziaur Rahman for his YES – NO Vote. They also remember him saying “I will make politics difficult.” If he had made politics difficult in Bangladesh he also left behind the legacy of ‘Engineered Elections’. For the years to come, politicians and the mighty military were to dedicatedly pursue his ‘tailor made party & election mechanisms’ model. Presidential Election, June 1978: Direct Vote! In June 1978 Ziaur Rahman was elected President through direct vote under Martial Law. Nine other candidates contested the poll. He won 76.6% of the vote. Over the period of November 1975 to June 1978 Ziaur Rahman let political parties sprout up like mushroom. In September 1978, with all sorts of politicians, he launched his own – the Bangladesh Nationalist Party (BNP). In February 1979, he arranged the second parliamentary election under martial law. BNP got 207 of the 300 seats. Awami League won 54, other parties 23, and independent candidates bagged 16 seats. The election of 1979 indeed facilitated the return of multi-party democracy, but it also left behind the legacy of engineered elections, and mafia politics. President Ziaur Rahman was assassinated in a failed military coup in May 1981. The second presidential election through direct vote was held in November. Advocate Abdus Sattar, Vice-President in Ziaur Rahman’s government, and 38 other candidates contested in the election. Sattar became President with 65.5% of the vote. In March 1982, Hussain Mohammad Ershad, the chief of army staff, ousted him in a bloodless coup. 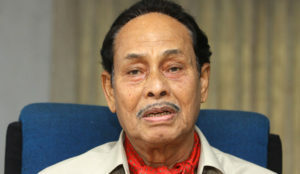 Ershad became Chief Martial Law Administrator; suspended the constitution, dissolved parliament and banned political activities. He made himself President in December 1983. The third parliamentary election was held under martial law in May 1986. Jatiya Party, which is owned by General Ershad in the similar fashion Ziaur Rahman founded BNP, won 153 seats. Awami League bagged 76 seats. The presidential election was once again held through direct vote under martial law in October 1986. General Ershad contested with 11 other candidates. He predictably won the election garnering 84.1% of the vote. The Elections in 1986 saw an unprecedented development in politics in Bangladesh. BNP boycotted the poll early. Awami League participated in the election but resigned from the parliament on 4 Dec 1987. As a result, Ershad had to dissolve the third parliament he just created with much enthusiasm. Despite boycotts by Awami League and BNP and their allies, Ershad managed to hold the fourth parliamentary election in March 1988. His Jatiya Party won 251 seats. In June 1988, Ershad declared ‘Islam’ as the state religion of Bangladesh. Ershad was forced to dissolve the parliament and hand over power on 6 December 1990 to a non-party caretaker government headed by Chief Justice Shahabuddin Ahmed. Shahabuddin Ahmed, the Chief Adviser of the caretaker government, organized the fifth parliamentary election in February 1991. A total of 75 political parties contested in the election. BNP lead the poll with 140 seats, Awami League 88, and Jatiya Party bagged 35 seats. BNP formed a coalition government with the Islamist party, Jamaat-E-Islami Bangladesh which won 18 seats. Khaleda Zia became the first female prime minister of Bangladesh. General Election, February 1996: The Madam and her Farcical Parliament. The sixth parliamentary election was held in February 1996. Sensing that BNP government was going for an ‘engineered election’, major opposition parties boycotted. BNP went ahead with poll and won all 300 seats. Her farcical parliament was dissolved on 30 March. The seventh parliamentary election was held in June 1996 under the caretaker government headed by Chief Justice Muhammad Habibur Rahman. A total of 81 political parties contested in the election. Among them Awami League won 146 seats, BNP 116, Jatiya Party 32 and Jamaat-E-Islami Bangladesh won 3 seats. Awami League in coalition with Jatiya Party formed the government. Sheikh Hasina, the daughter of Sheikh Mujibur Rahman became the second female prime minister of Bangladesh. The eighth parliamentary election was held in October 2001 under caretaker government headed by Justice Latifur Rahman. The BNP led Four Party Alliance (BNP, Bangladesh Jatiyo Party- BJP, Jamaat-E-Islami Bangladesh and Islami Oikyo Jote) won 216 seats (BNP 193). Awami League bagged 62 and Jatiyo Party 14 seats. 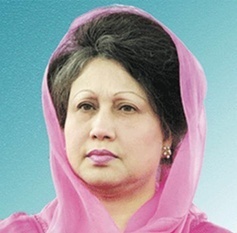 Khaleda Zia became prime minister for the second time. Another General emerged from the army again to grab power when BNP, Awami League and other parties failed to end the political deadlock before the scheduled election on 21 January 2007. 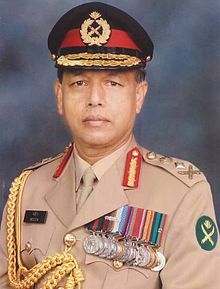 General Moeen Uddin Ahmed staged a bloodless coup on 11 January 2007, and installed a civilian caretaker government. He pursued the ‘Minus-Two’ formula which meant ousting Khaleda Zia and Sheikh Hasina, the two popular political leaders of the country, from their parties and sending them in exile overseas. Both leaders were jailed on corruption charges. Political activities in the country were banned. Interestingly though the regime sponsored Nobel Peace Prize winner Muhammad Yunus, and many others to form political parties. Yunus founded ‘Nagorik Shokti Party’ (Citizen’s Power Party) and openly promoted his agendas. But the collective strength of political parties in Bangladesh successfully resisted the fanatics of ‘Minus-Two’ project. Nobel laureate Muhammad Yunus’s party died at infancy. General Moeen obtained green card and fled to USA. The ninth parliamentary election was held in December 2008. Awami League formed a fourteen-party Grand Alliance including Ershad’s Jatiya Party while the BNP formed a four-party alliance which included the Islamist party Jamaat-E-Islami Bangladesh. The Awami League-led grand alliance in a landslide victory won 263 seats out of 300. BNP led four-party alliance received 32 seats. Sheikh Hasina became the Prime Minister of Bangladesh for the second time. Her government abolished the caretaker government system, and set up the International Crimes Tribunal. Militancy is an integral part of political Islam; Jamaat-E-Islami Bangladesh over the last 3 decades groomed a strong and highly disciplined militant wing, Islami Chatra Shibir. They remained alert to face an onslaught from Awami League and leftist parties for crime they had committed in 1971 and their alleged involvement in the killing of Sheikh Mujibur Rahman, his family and relatives. Jamaat-E-Islami threatened to burn Bangladesh to ashes if Awami League doesn’t stop the trial of war criminals, and free their convicted leaders who are in jail now. Since Hasina government did not give in to Jamaat demand, Shibir has gone reckless. 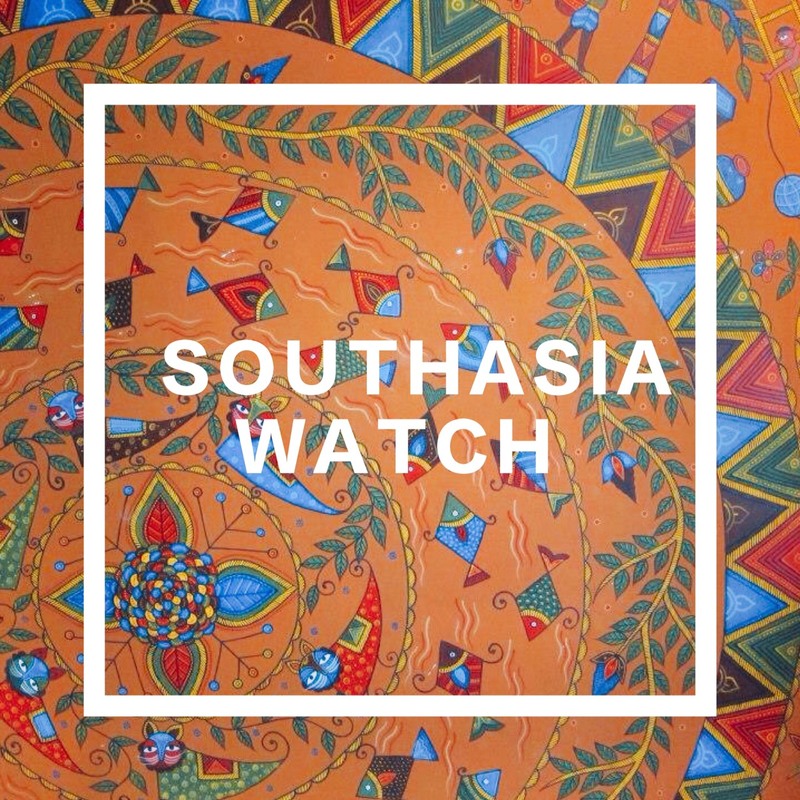 An unofficial count suggests that during November-December 2013 alone more than 100 people died in political violence masterminded by Jamaat-Shibir. Even anti-Awami League, and anti-India media distinguished Jamaat-Shibir as the architect of mass destruction in the country for decades. An article published by prothom alo (27 Dec,2013), the highest circulated Bangla daily, reveals that when the International Crimes Tribunal rewarded death penalty for war crimes of Jamaat leader Delwar Hossain Sayedee, 77 people died in Jamaat-Shibir’s violence in one week time. General Election 2014: A Parliamentary Election or War? The tenth parliamentary election is scheduled to be held on 5 January 2014. BNP is boycotting the poll on demand for Caretaker Government. Jamaat-E-Islami is boycotting to save their leaders most of whom are tried for war crimes. Jatiya Party’s Ershad is boycotting on claims that the election without participation of BNP will not be credible. But his wife and many high ranking leaders of his party are contesting. 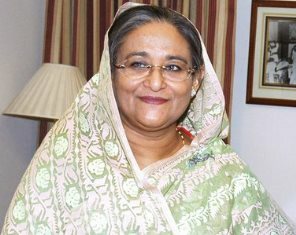 Immense pressure was put on Sheikh Hasina by the U.S. government and European Union to stop the trials of war criminals, reinstall Caretaker Government, and not to hold the election without BNP, Jamaat-E-Islami and others. Sheikh Hasina remains defiant. The history of elections suggests that sanity doesn’t prevail among politicians in Bangladesh. If Sheikh Hasina succeeds to face the challenges ahead perhaps Bangladesh will prosper on democratic processes. If she fails, chances are high that the country would become a Taliban state sooner or later.